ABR: As a Zimbabwean poet, how has Zimbabwe influenced your works, and what do you think the future of poetry in Zimbabwe is? What ideally would you like it to be? MATAMBO: Having started writing in Zimbabwe, I admired several authors from Zimbabwe who influenced me greatly, particularly in my teen years. The works of Charles Mungoshi, Yvonne Vera, Dambudzo Marechera and Chenjerai Hove were widely read during that time. What strikes me today about these authors was their relationship to genre: they all worked in poetry and prose, and Yvonne Vera seemed to compose her novels very rather than write them. Thus I read and wrote in both genres without thinking much of it. I work in both poetry and prose, and credit these authors as influences. Zimbabwe’s history and contemporary life is also a significant influence on my work. While I could not list specific aspects of its footprint, I will say several aspects of life in Zimbabwe have struck me as surreal. Language on the Zimbabwean street, for instance, is often both dynamic and unstable, often saturated with dark humor and a faux haplessness. It is often a mirror on the long, dark and potholed corridors of power in Zimbabwe. Such behavior of language interests my poetic sensibilities; it seems to bring one closer to flux and alternate dimensions of reality. Today I live in both the United States and Zimbabwe. It is an experience that has been glorious in allowing me to engage and absorb a vast range of influences. Zimbabwe has a very rich poetry scene. Much of it today exists as spoken word, which in Zimbabwe I find to be unique in that it is rather a very old genre founded on structures of traditional Shona and Ndebele poetry yet seeking a closer –and often, successful –relationship with musical cultures that have emerged from the African American experience. It is mostly continued today by younger poets, a key voice being Madzitateguru. Apart from this however, literature in Zimbabwe in general feels under siege. Several publishing houses shut down during the harder years of the economic downturn, leaving authors with very few outlets for publishing their works. While I understand that it does not always make economic sense, it remains disheartening that there are hardly any bookstores in Harare selling any works beyond textbooks and stationery. It is not an easy quagmire to solve. ABR: As a creative writing professor, is there a particular approach you use to teach or help students develop their skills? And does the process of writing poetry influence the way you approach teaching? MATAMBO: I am always interested in how my students are thinking, in how they view themselves and the world around them. My first inclination is to actively listen to them, and to have a sense of their objectives for the semester. I have no fixed approach; I try to interact with each person with compassion, and with the understanding that her/him/they is a unique individual with a distinct voice. I am not certain if writing poetry necessarily influences the way I approach teaching. But I am certain that it does allow me to empathize with both my students as well as the frustrations they may encounter in trying to articulate themselves into stronger writers. ABR: Do you have any favorite African books/ books by African authors? Any that have particularly influenced you? MATAMBO: I enjoy JM Coetzee’s works, particularly The Life and Times of Michael K, as well as Disgrace and Summertime. Cemetery Of Mind by Dambudzo Marechera, as well as the appendix section in his work, Mindblast are two others that I enjoy. I enjoy and find much influence in Ben Okri’s poetry, essays as well as his fiction. The beauty of Songs Of Enchantment frightened me. But I want to emphasize that I find it important that one is influenced in authorship by works beyond one’s geography of origin. I enjoy for example, Kafka’s short works and aphorisms, as well as John Banville and Anne Enright novels. The Castaway by Derrek Walcott, and Terrance Hayes’ Lighthead, as well as C.D Wright’s One With Others and Deep Step Come Shining have also been very influential in my experience as a writer. I think it is important to listen to the music in other voices, how they carry their commitment forward. I find that in addition to delving in and living in an enjoyable book, the experience helps me see and understand my own work better. MATAMBO: I am currently focused on poems for a project that I have been working on sporadically since last year. I will be editing a work for prose after this and sending it out again. BERNARD MATAMBO is an Assistant Professor in the Creative Writing Program at Oberlin College, USA. He received his BA from Oberlin College, OH, and an MFA from Brown University, RI, where his writing received both the Beth Lisa Feldman Award for Fiction and the Matthew Assatly Award from the Literary Arts Program. His work has been published in Witness, Pleiades, AGNI, Cincinnati Review, The Journal, Laurel Review and Plume Poetry among others, and has been nominated for the Pushchart Prize. 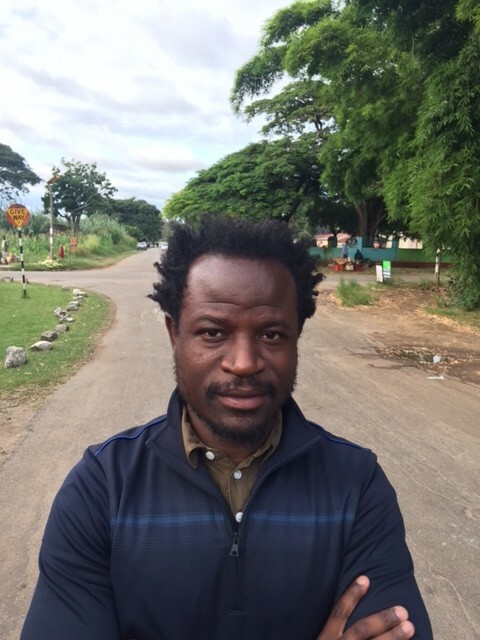 Bernard is a recent recipient of an international arts education grant from the Minneapolis Foundation to develop a course study of community arts and arts education in Zimbabwe. CHIOMA NKEMDILIM is a serial blogger and creative writer, an avid reader, a music lover, a Korean drama buff and a chocoholic in no particular order. Visit her online at ThatIgboGirl.